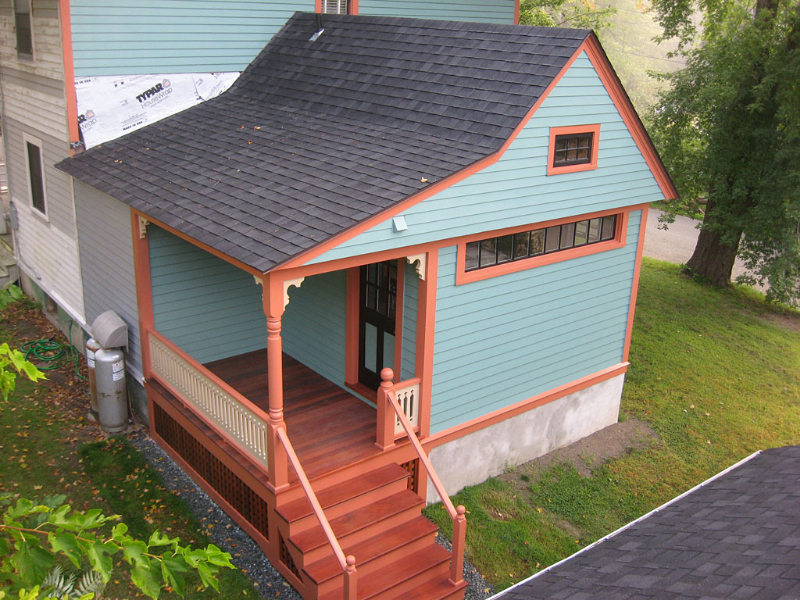 Schmolze Woodworks recently completed (Summer 2013) this Victorian “Cottage” back porch addition, which is juiced to the gills with custom woodwork. 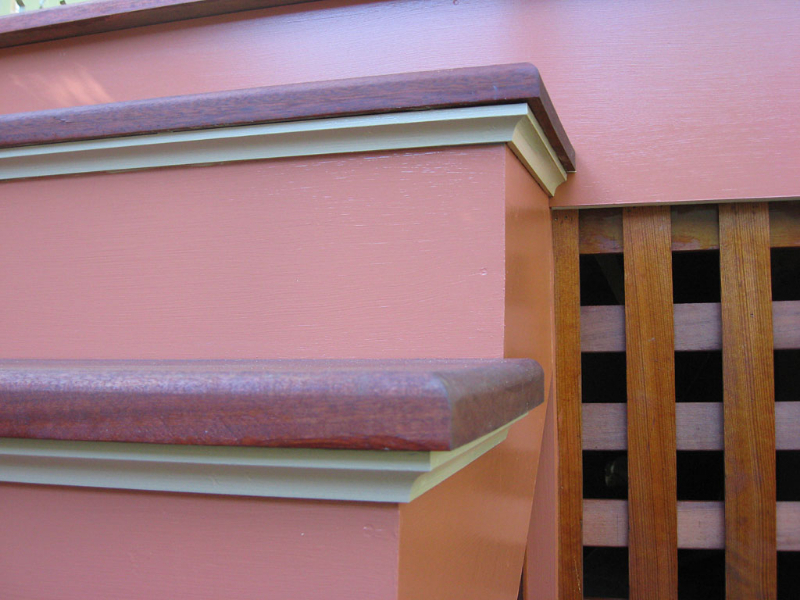 All the turnings, as well as the corbels were hand made in my shop and match the front porch profiles. 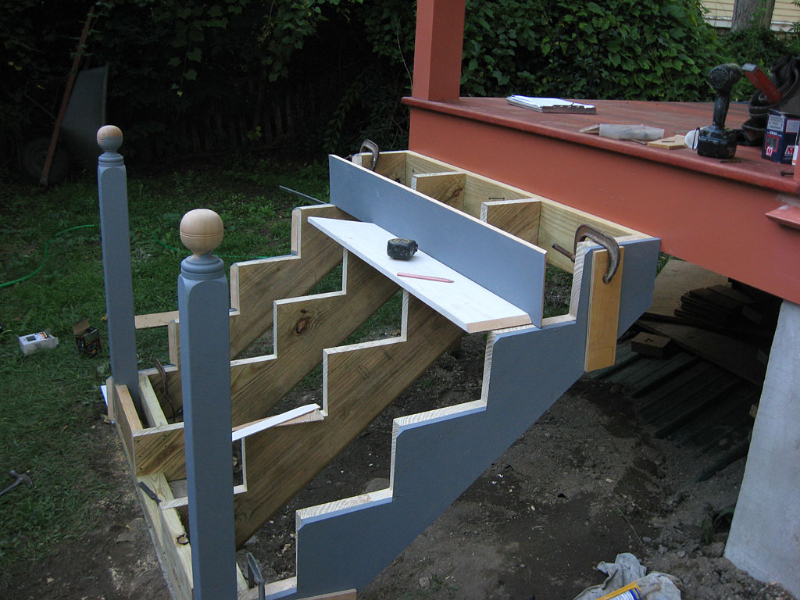 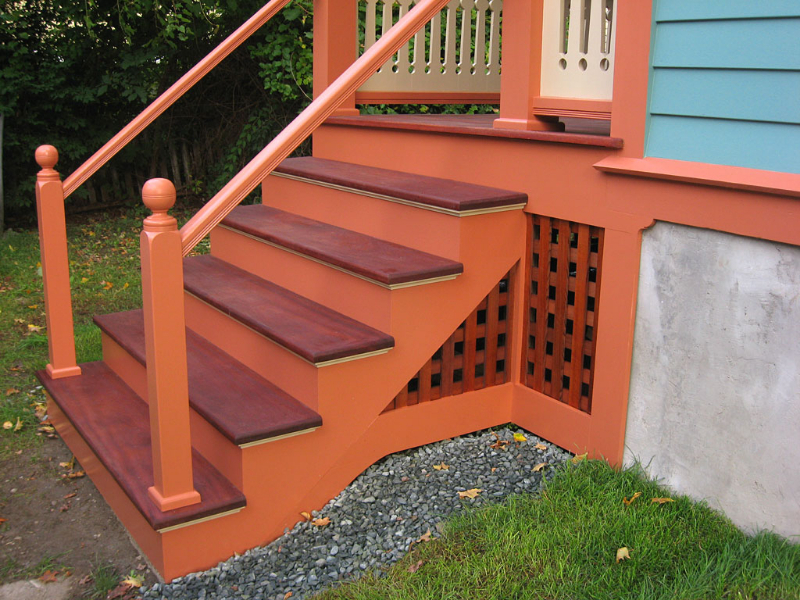 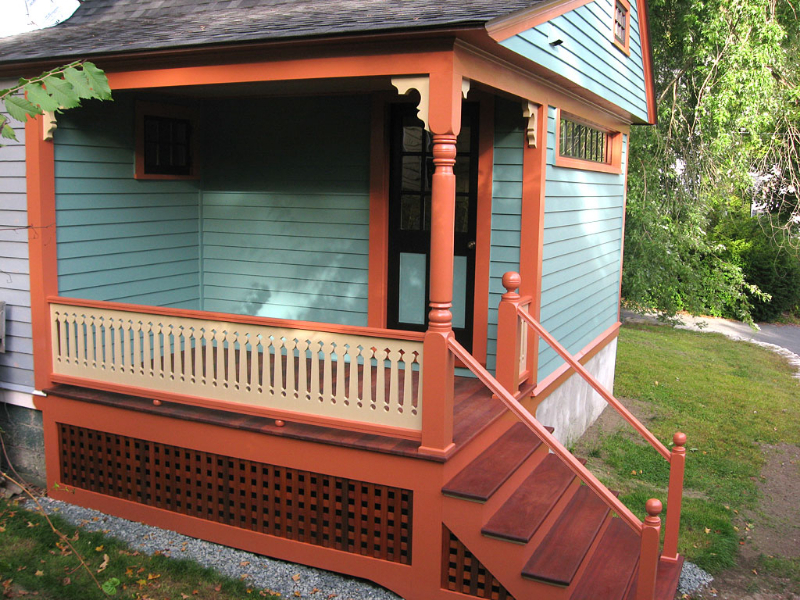 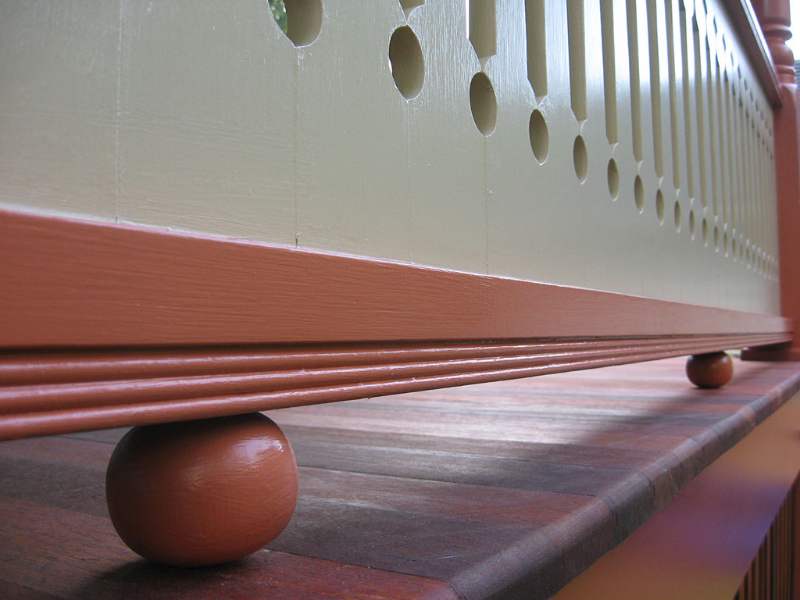 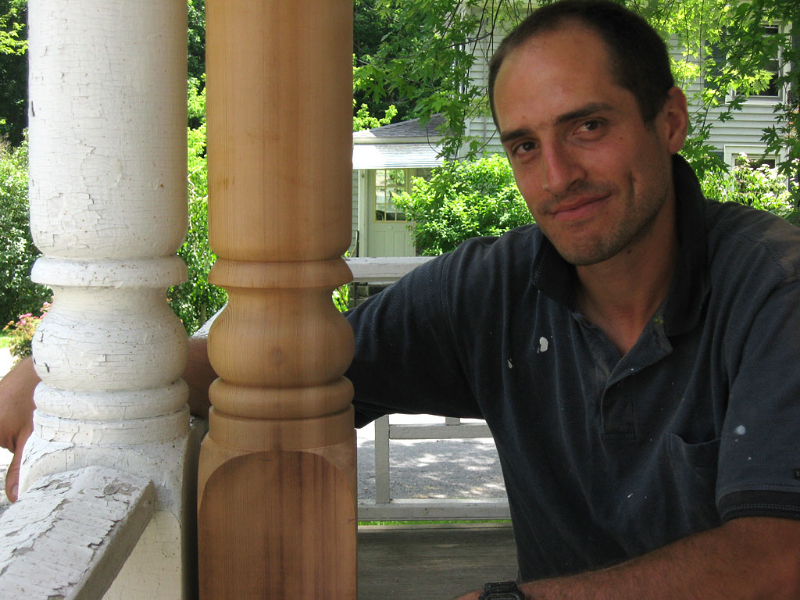 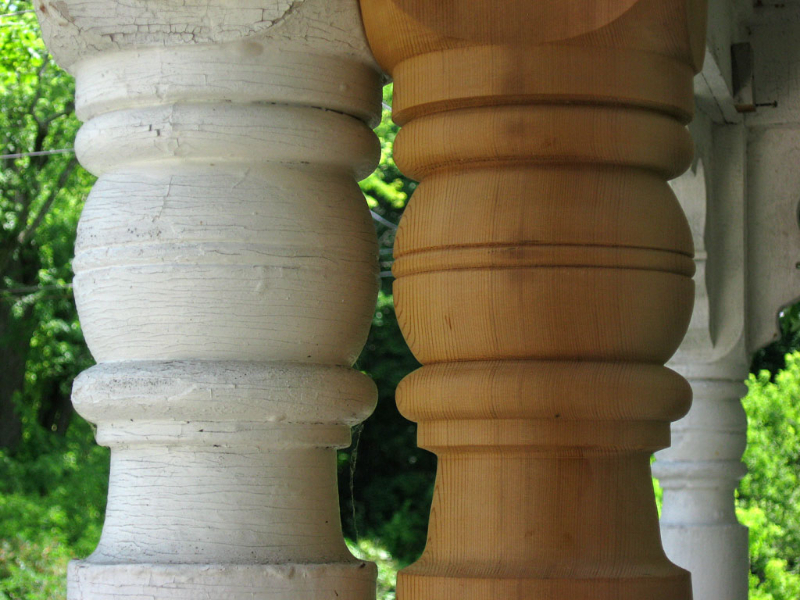 Almost everything on the porch is made from scratch – virtually no stock lumberyard items – including the stair treads, door threshold, balusters, and railings, lattice, and even the little shoe molding around the bases of the posts. 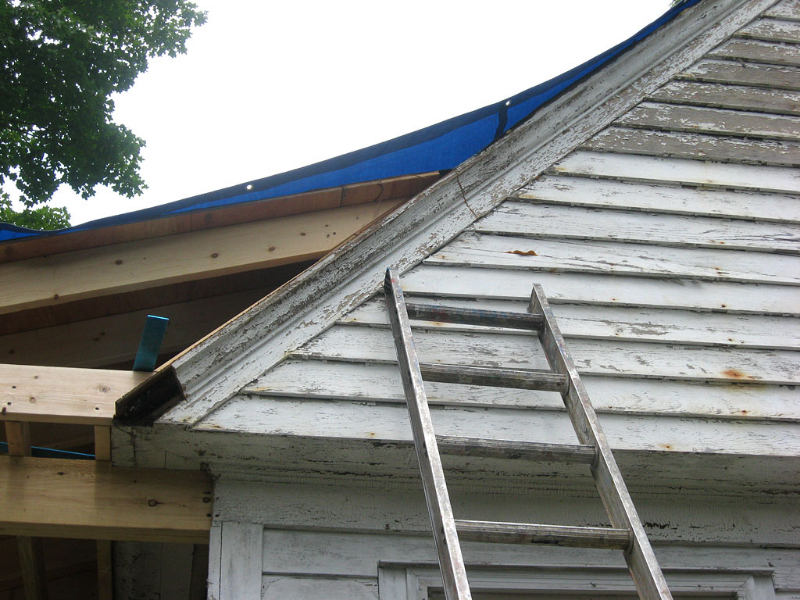 The roofline needed to be extended, and this changed the gable end to a gable/shed end. 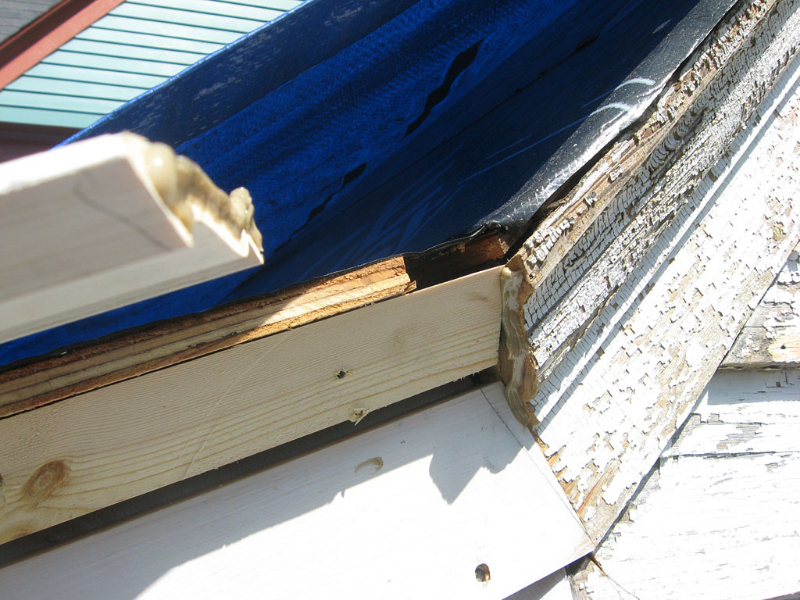 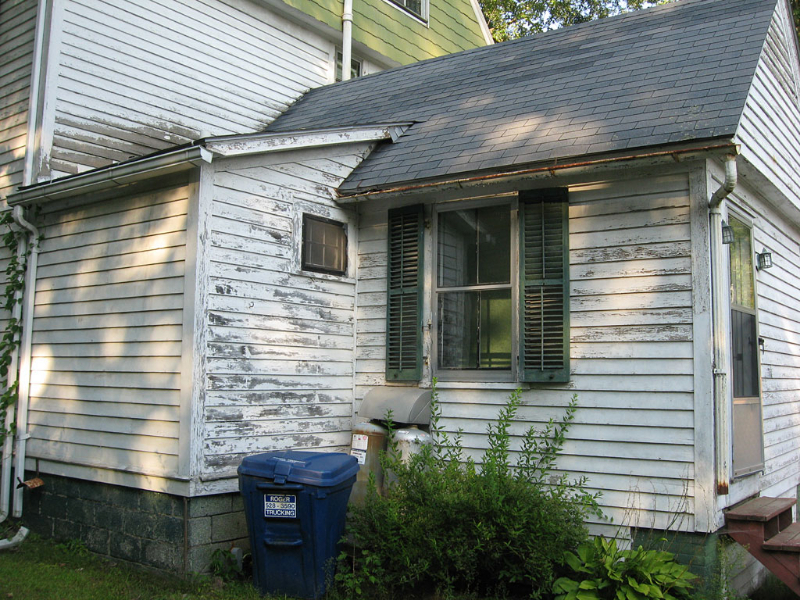 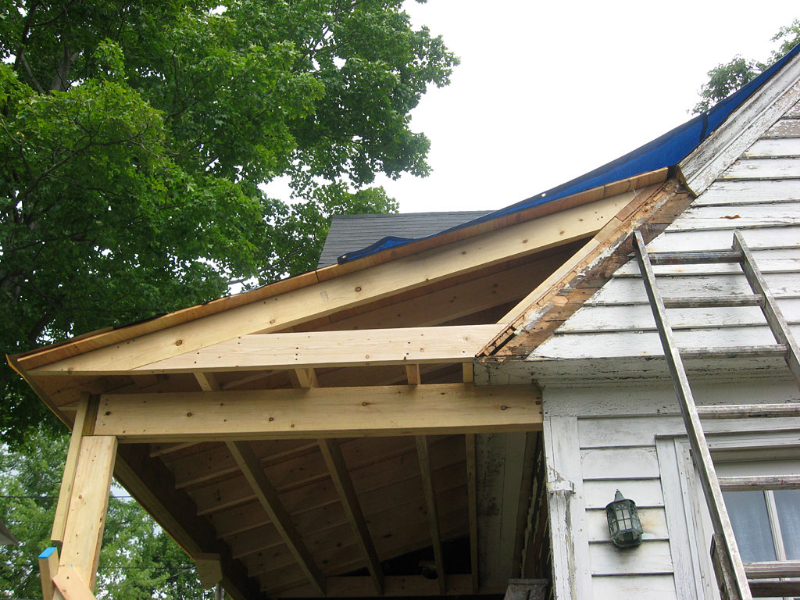 All the siding was replaced and a new roof was installed. 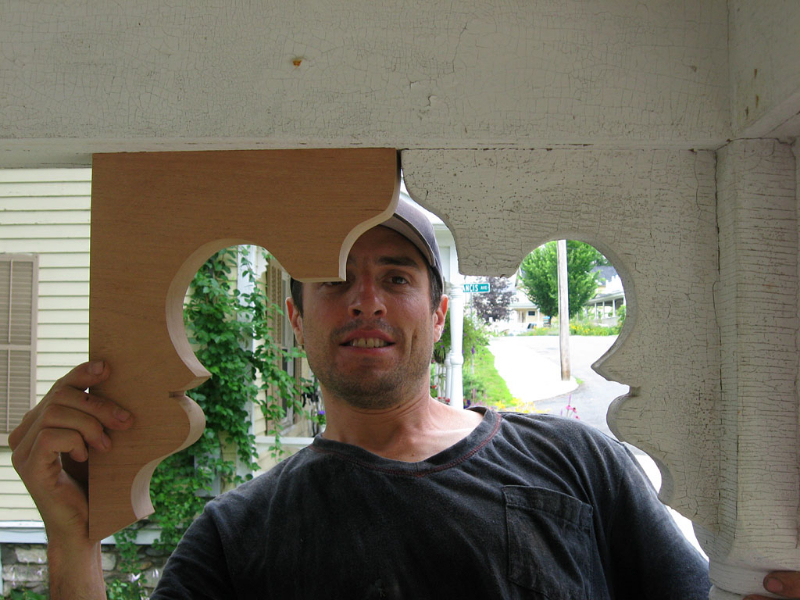 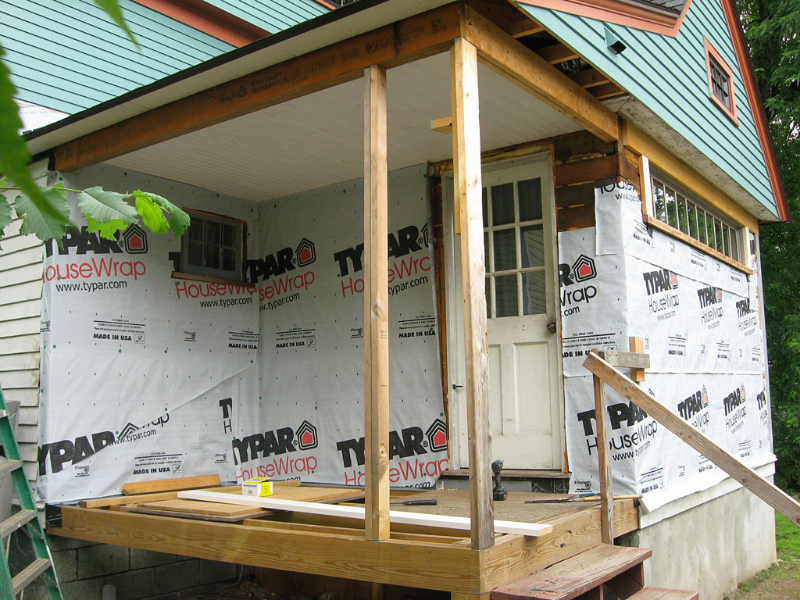 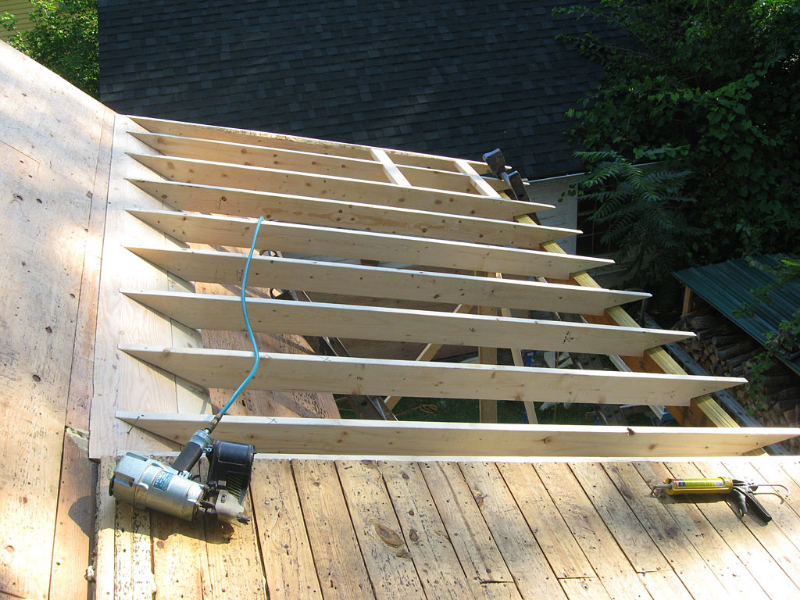 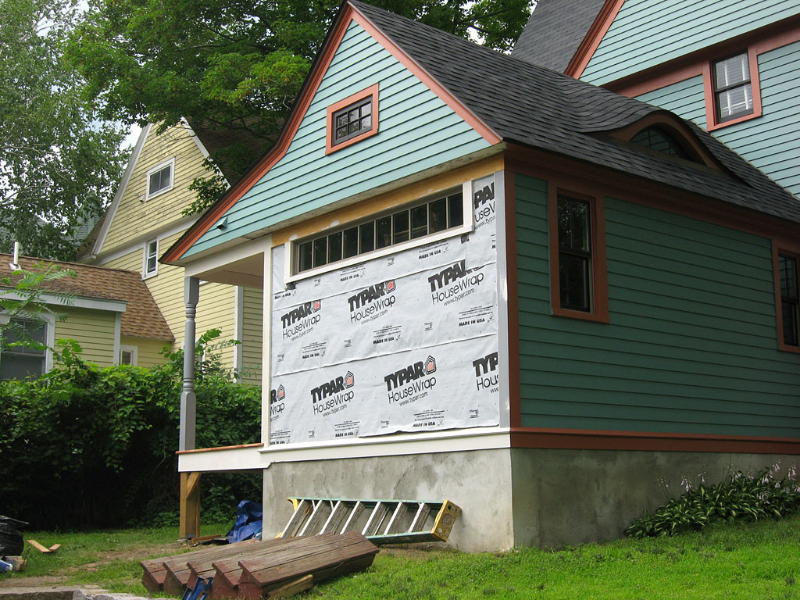 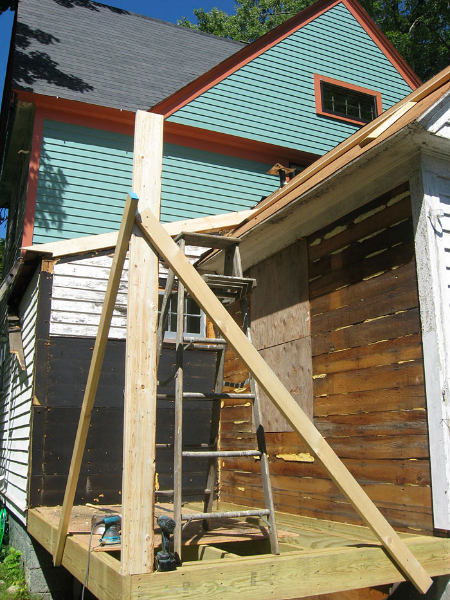 A 9′ transom window and small divided light window were added to the gable end. 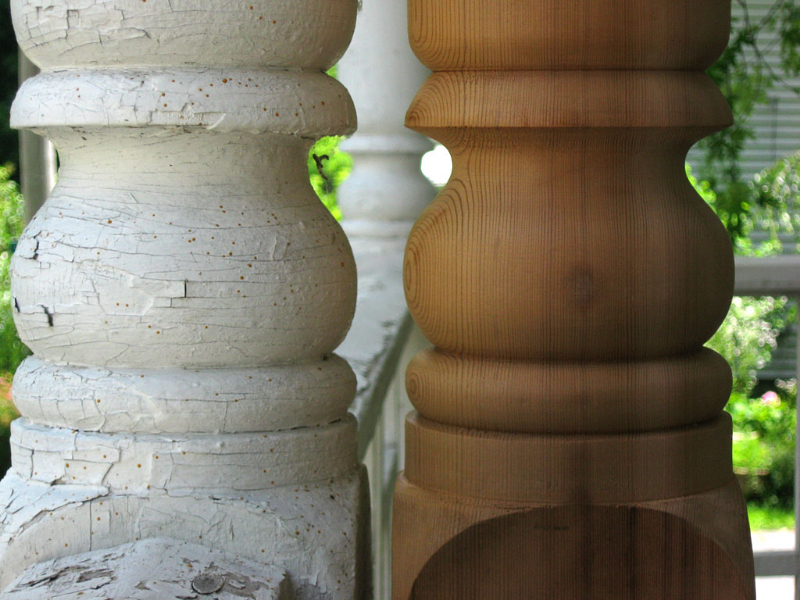 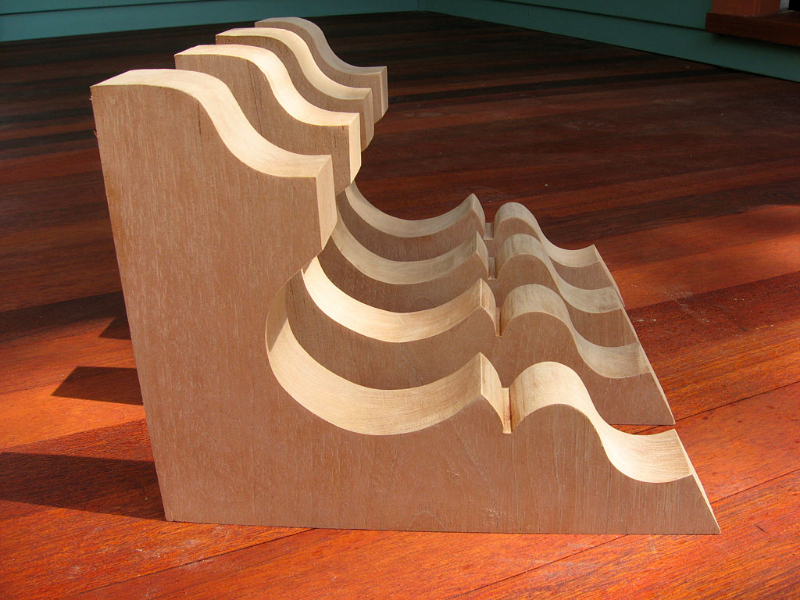 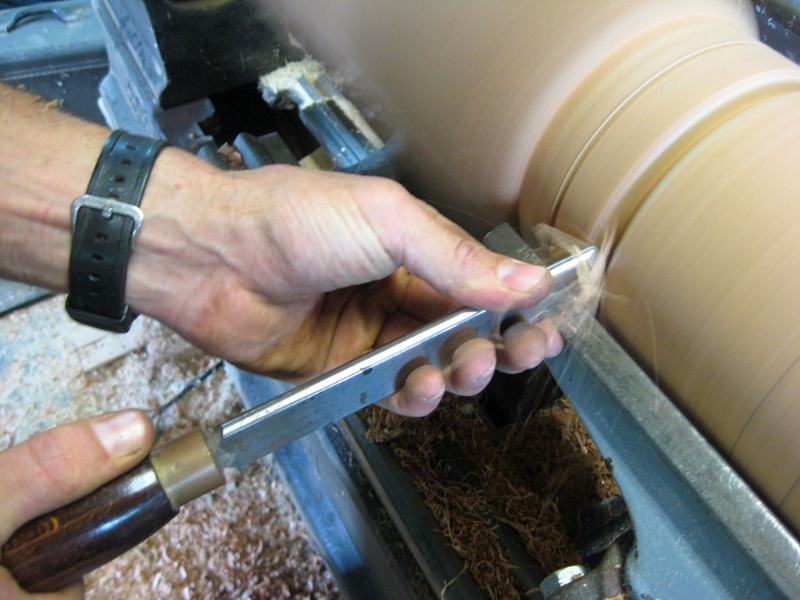 Being a wood turner, it was unusual for me to decide to make “flat sawn” balusters, but I couldn’t find a turned profile that felt right to me. 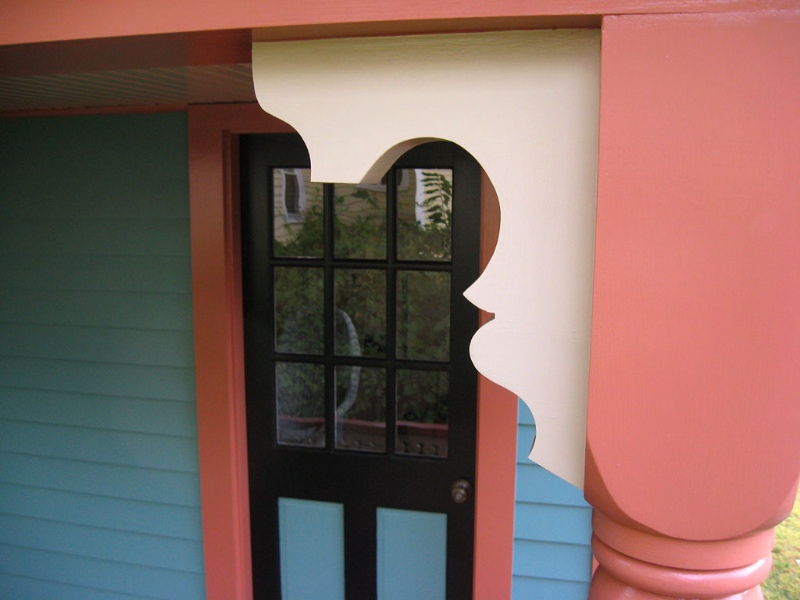 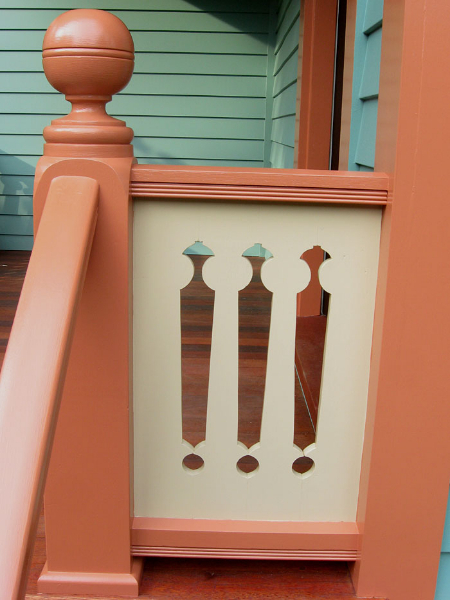 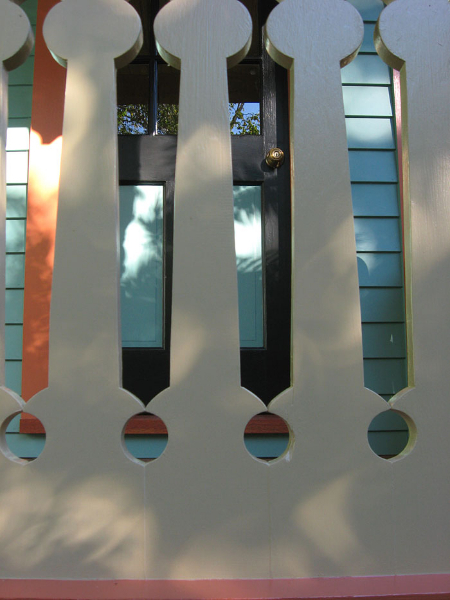 The railing on the existing front porch is a sort of “Chinese Chippendale” pattern that I didn’t think was stylistically correct for the house, and the only thing I didn’t copy. 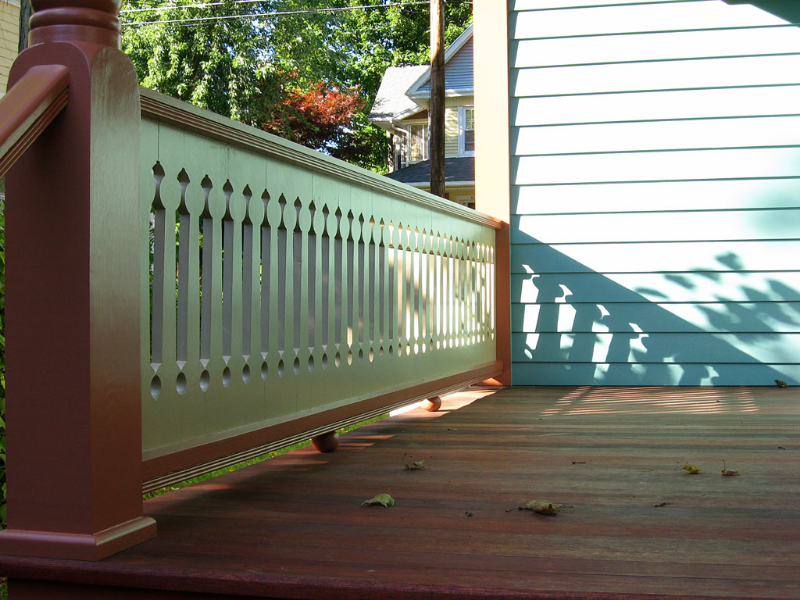 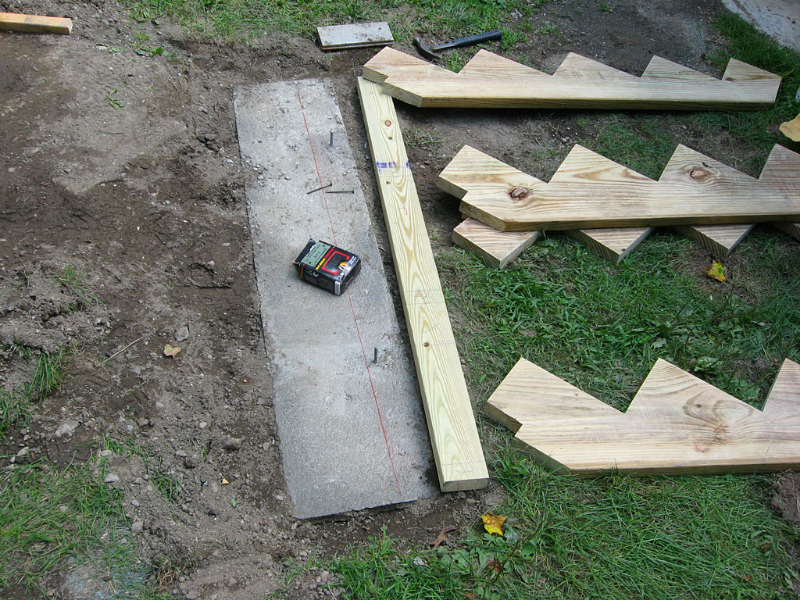 Eventually the front porch balusters will be redone in the flat sawn profile seen here.